Pucci (Eau de Parfum) is a perfume by Emilio Pucci for women and was released in 1981. The projection is above-average. The production was apparently discontinued. A little vintage mini is what fascinated me. I loved the bakerlite style mustard coloured, embossed lid and wasn't expecting much when I tried it. Wrong assumption. I have no idea what the real listed notes are, so you only get the interpretation of my own nose. A wonderful citrus beginning backed up by a pungent and wonderful jasmine/floral/woods. Added to that is a touch of a spicy carnation or linden blossom type floral on top of a well structured musky woodsy base. There is a freshness like a peony there too but she's being caressed so firmly by the jasmine that she can only just peek out. A real floral nuzzler here. Joy fiends might like this. Old school and elegant, when ladies wore dashing, vibrantly patterned frocks with loads of skirt billowing around them. With a proper amount worn, this jasmine would billow around you like that skirt. His Italian fashion scene and high birth position are all reflected in the obvious quality of this perfume. It might be old but it still packs a floral punch. Made when perfumes were still allowed to contain some decent ingredients. There is a sharper note peeking out from the woody green background, and I wouldn't be surprised at all if it was real civet, and there is a powerful orris powdery quality to the basenotes. There is but a tiny hint of sweetness but more along the lines of benzoin or spicy tolu. Completely delicious and well balanced rich floral. I haven't smelled the new ones to see how they compare. 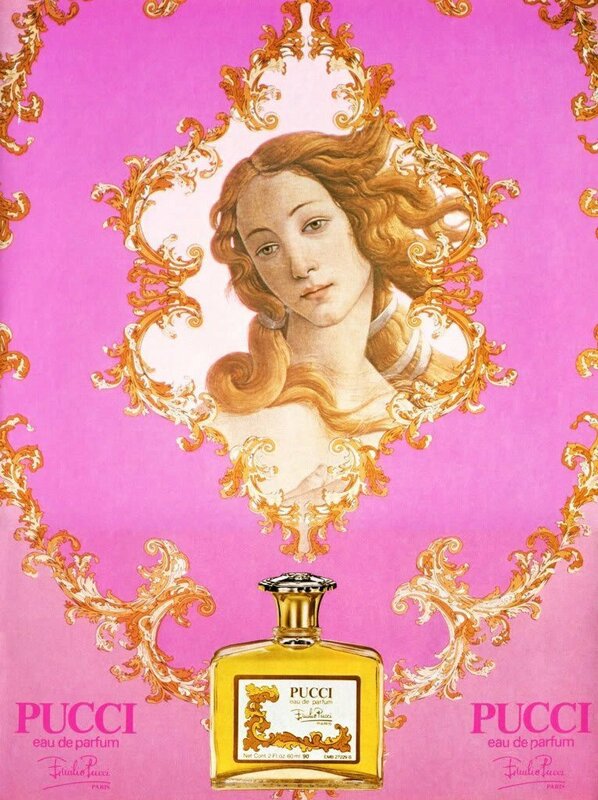 Write the first Review for Pucci (Eau de Parfum)!